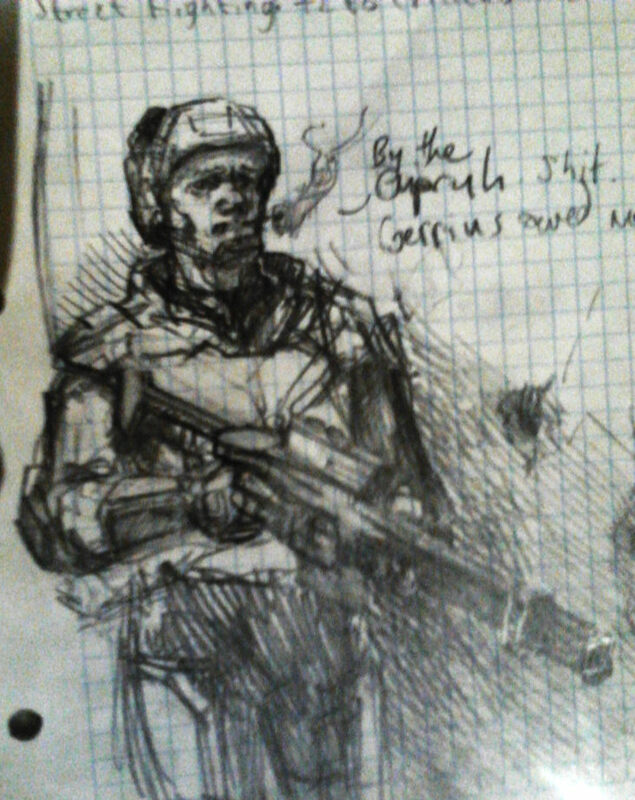 Something I doodled at the Galway Gaming Tribes while playing a once-off character for with the rpg folks. Image blur courtesy of my aged smartphone. A scanned version may never exist. Such is life for Guardsmen of the Imperium. Van has simply been lucky, and slightly mad. Maybe such traits will end up being a great thing for Van. 40k is fun like that.